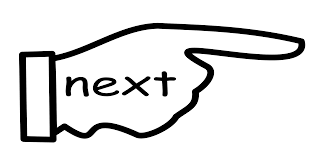 Blockchain-based holding company with diversified investment portfolio of best-of-breed market disruptors. VOLUM is a technology-based blockchain-era holding company. Holding companies have been a part of the business and investing landscape for many decades. Some of the most well-known companies in the world, including Alphabet (Google), Berkshire Hathaway, General Electric and Bank of America are operated as holding companies. VOLUM leverages the benefits of a holding company structure which, by design, minimizes risks through diversification, and allows shared infrastructure to quickly attain economies of scale. In the VOLUM example, all portfolio companies leverage a common native currency and blockchain technology platform that enables streamlined supply chain management, B2B marketplace transactions supported by trustless smart contracts and advanced data analytics. Portfolio companies benefit from vertical and horizontal integration opportunities with other VOLUM operating companies. VOLUM takes minority ownership positions in a wide range of companies, intellectual property and other assets. These assets are tokenized on the VOLUM decentralized platform and made available to investors on digital currency exchanges. 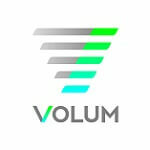 VOLUM is a holding company formed by Bengala Technologies, LLC and International Spirit and Beverage Group (ISBG). Bengala is a blockchain software development company and ISBG (OTCQB:ISBG) is a top-tier incubator for early stage brands in the wines and spirits market. The VOLUM platform delivers a disruptive logistics and supply chain solution to a variety of industries, including but not limited to the $391 billion alcoholic beverages industry and the $1.4 trillion global advanced energy market. Built upon the Ethereum blockchain, the VOLUM platform utilizes its own native currency, VLM, a mined coin that employs smart contracts for the settlement of a wide variety of transaction types between ecosystem participants. VOLUM makes minority investments (30%-35% equity stake initially) in portfolio operating companies that it deems are poised to maximize efficiencies and competitive advantages by leveraging the VOLUM decentralized logistics and supply chain technology platform. Through the implementation of this strategy, the company assembles a portfolio of businesses with the potential to become market leaders in their respective industry spaces. VOLUM generates revenue from operating company dividends as well as from platform transaction revenue, paid in VLM currency, from the operating companies for their use of the VOLUM technology platform. The selection process of portfolio companies also takes into consideration potential vertical and horizontal integration opportunities with other portfolio companies to further expand competitive advantages and to accelerate transactions revenue growth on the VOLUM single token platform. The company expects to benefit from appreciation in the asset value of its portfolio companies over the holding period of these investments.